SeaWorld Orlando has just kicked-off an exciting new festival, combining international cuisine and live entertainment. It’s the Seven Seas Food Festival, a culinary adventure that takes place on consecutive Saturdays from now until May 13. The event kicked off last weekend, but there’s plenty of time to enjoy this wonderful festival. Each week guests can sip and sample their way around the world of international coastal cuisine while enjoying craft beers, specialty cocktails, paired wines and entertainment. 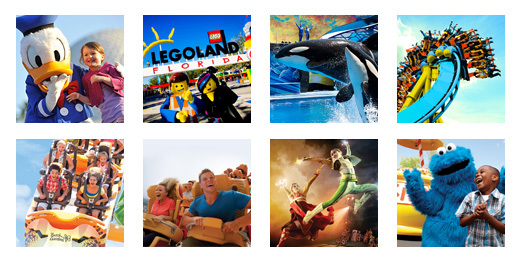 Right now on TicketsatWork.com you can save 30% on a SeaWorld Orlando Single Day ticket. The Seven Seas Food Festival is included with your park pass. Complete with 11 new global markets, guests can discover more than 60 unique Asian, Latin, European, Polynesian and North Atlantic dishes throughout the park. Yummy! This is shaping up to be one delicious adventure at SeaWorld Orlando: all of the terrific rides and attractions, plus this excellent food festival. Now is the time to plan a day at SeaWorld Orlando! The event will also feature a wide array of BBQ and comfort cuisine including Slow Smoked Ribs, caramelized in a SeaWorld original BBQ sauce, Pulled Pork Mac & Cheese and a Grilled Kielbasa Sausage Sandwich. And what goes better with delicious food than some lively music and comedy. SeaWorld’s Seven Seas Food Festival begins at 11 a.m. every Saturday and continues through park close. Feed your appetite for adventure with wild flavors and concerts for every taste at the SeaWorld Orlando’s Seven Seas Food Festival.